Alberto made landfall near Laguna Beach, Florida, west northwest of Panama City on Memorial Day around 4 p.m. Central Time. The National Hurricane Center says there is heavy rainfall and flash flooding over parts of the Florida panhandle. The storm is moving west at 9 mph. 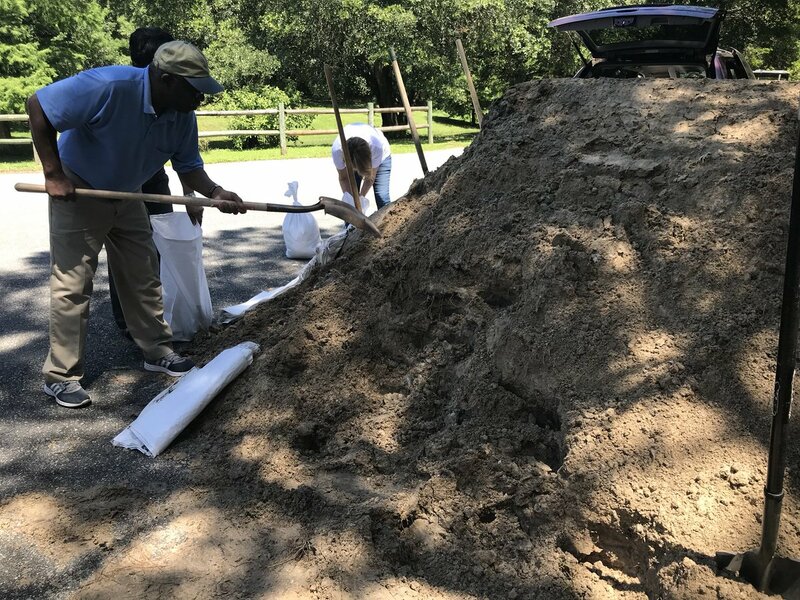 On Friday, Leon County (Tallahassee, Florida) residents filled sandbags to prepare for possible flooding and drenching rain. Florida, Alabama and Mississippi governors declared states of emergency. 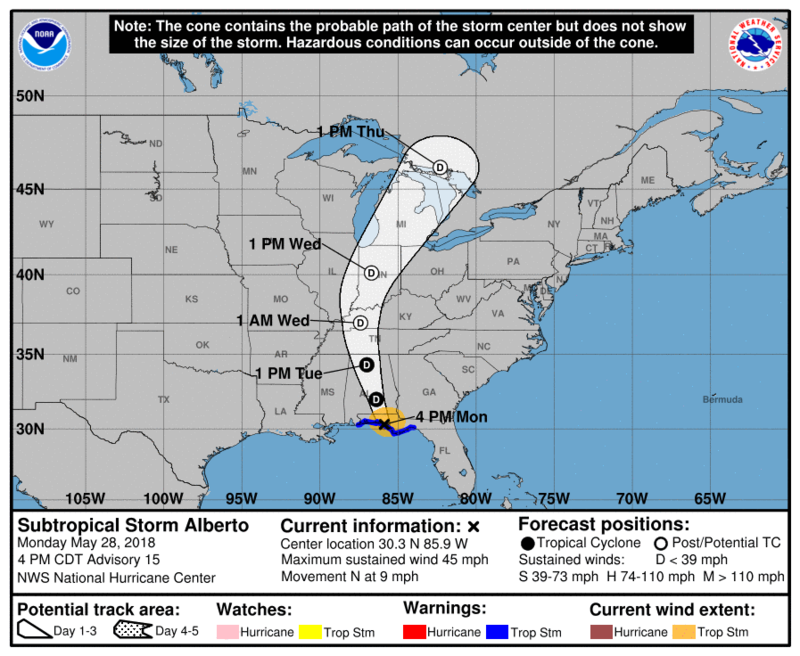 Louisiana Governor John Bel Edwards urged residents to monitor Alberto. For storm updates, watches and warnings in your area, visit the local National Weather Service and National Hurricane Center websites and social media. Tune into local broadcast and cable weather channels, too. This entry was posted in Airline Travel, Asian Community Alert, Hurricane Season, National News, Weather and tagged National Hurricane Center Alberto Update. Bookmark the permalink.